No matter where you are on your financial journey, you need to know that it is possible for anyone to turn their financial life around. Sometimes all it takes is that first step in the right direction to get things moving in your favour. But, as with most things, sometimes that very first step is the hardest part. With a bit of effort, money saving is possible for everyone. 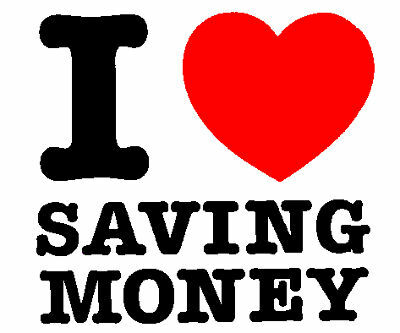 That is why we have created this list of 10 different ways to start saving money today. None of these tactics will be life changing by themselves, but they can and will make a huge difference over time if you are able to implement more than one. Some of these suggestions take just a few minutes, while others require a bit of effort. Still, they’re all incredibly simple – anyone can do them. If you are paying a monthly fee for your checking or savings account, you would benefit from researching some of the newest banking offers out there. Not only do some banks offer sign up bonuses simply opening an account and setting up direct deposit, but some offer attractive interest rates to new customers as well. It’s true that interest rates are not what they once were, but it is still worth a look. Some of the best free checking accounts and best savings accounts can be found online. Here’s a guide on how to make that switch. One big way to save money is to drastically cut down on the amount of TV you watch. There are a lot of financial benefits to this: less exposure to spending inducing ads, a lower electric bill, more time to focus on other things in life – such as a side business and so on. Want to take things a step further? Considering cutting the cord to cable TV altogether. There was a time when people thought their collections would bring them riches. Beanie Babies were once a big fad at one time, as were Longaberger baskets. Now you can find those items on resale sites like Craigslist and at garage sales for a fraction of their initial cost, leaving many people who sunk thousands of dollars into their “investments” wondering what happened. If you want to avoid that situation, don’t collect items of questionable value. And if you want to recoup some of the money you have already spent on collectible items, yo9u can start selling them now and use the funds for any number of worthy financial goals. Read our “Guide to Selling Unwanted Items” for some simple strategies that can help you profit as much as possible. No matter where you live, you will find plenty of retailers who are willing to reward you for shopping at their store. Here is the basic game plan for maximising these programs: create a Gmail or Yahoo address just for these mailings, collect every card you can, and then check that account for extra coupons whenever you are ready to shop. You can add to those rewards and discounts by using rewards credit cards to earn points on a purchase at a wide range of stores that can be redeemed for cash back or other benefits. If you want to save money whilst also giving generously, creating your own gifts is one way to accomplish both goals. You can make food mixes, candles, fresh baked bread or cookies, soap, and all kinds of things at home quite easily and inexpensively. These make spectacular gifts for others because they involve your personal touch – something you can’t buy from a store (as cheesy as it sounds) and quite often they are consumable, meaning that they don’t wind up filling someone’s closet with junk. Even better – include a personal handwritten note with the gift. Avoiding instant gratification is one of the most important rules of personal finance and waiting 30 days to decide on a purchase is an excellent way to implement that rule. Quite often, after a month has passed you will find that the urge to buy has passed as well, and you’ll have saved yourself some money simply by waiting. If you are on the fence about a purchase anyway, waiting a while can give you a better perspective on whether it is truly worth the money. One of the easiest ways to save money is to only shop when you have a list. Because when you are without one, you typically end up making impulse buys and unplanned purchases – all things that cost money. Going out to eat or “out on the town” has a way of completely destroying both your food budget and entertainment budget in one fell swoop. And no matter what, it is always cheaper to stay in with friends and come up with your own entertainment. Instead of hitting the town, host a fun pitch in dinner with friends. Play cards, watch movies, throw a house party. You’ll all save money and still have a great time! Don’t toss out a shirt because of a broken button – sew a new one on. Don’t toss out trousers because of a hole in the – put a patch on them and save them for times when you aren’t out and about. Most basic sewing jobs can be completed by anyone, and a little bit of practise goes a long way. Learning basic sewing skills is a great way to save some money – and extend the life of your clothing. Most children, especially young ones, can be entertained very cheaply. Buy them a football, or take them for a walk, maybe even a picnic. Realise that more than anything what your children want most of all is your time, not your stuff, and you will also happen to find money in your pocket. If you enjoyed this blog, then perhaps you’d be interested in our blog that investigates if savings are at an all time low.